● When available, YLiving coupon codes tend to offer up to 5% discounts. ● Shop YLiving’s Sale section and save up to 50% on select items. ● Shipping is free within the US on most orders worth over $75. This offer appears ongoing but may be subject to change at any time. ● You may return items within 30 days of receipt for a replacement. Some restrictions may apply so make sure you carefully read the Return Policy. ● Most items are covered by YLiving’s Price Match Guarantee, so if you find the same item with a lower price elsewhere, the shop will match it. If you're the type of home owner that is interested in exclusively modern furniture you will enjoy the products available from Y Living. On the company's website you can browse through the various items that they have for living rooms, dining rooms, bedrooms, kitchens, bathrooms, kids' rooms, outdoor spaces, workspaces, storage, and more. They also have rugs, lighting, and accent pieces that you can place around your home or office. The blog is filled with design tips that you can take advantage of and the sale section has merchandise that has been recently marked down from their regular retail prices. 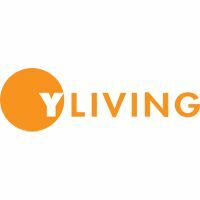 For most up to date offers check out Yliving on Facebook and Twitter or contact Yliving Support for any questions.